Machinery There are 43 products. We stock a great range of pressure washers and jet washers so you can find the perfect cleaning solution for your needs, these might include cleaning your patio, your car, windows or decking. We stock both petrol and electric models, from manufacturers such as STIHL and more. They are available for both domestic and professional users. It is very important you know what you will be using your pressure washer for before buying as to make sure you know exactly which suits your needs. This pump is a 235L/min 700W 230V Submersible Dirty Water pump with 8.5m lift and float switch. 320L/MIN 1000w 230v Submersible Dirty Water Pump with 11m max head height and float switch. This Hitachi Jigsaw is a robust and powerful saw with variable speed control, dust extraction and a soft grip handle for extra comfort when cutting. 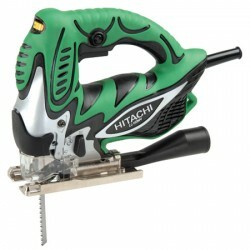 Hitachi Reciprocating saw is up for many tasks that you might have to put it through! 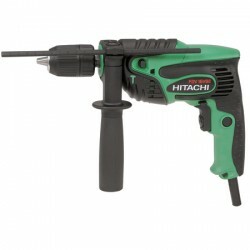 The Hitachi DV20VB2 is an electric impact drill with a high power 790W motor. It features a soft grip handle for comfort and is supplied with multiple accessories. The Hitachi FDV16VB2 is a powerfil 550W Impact drill with an ergonomic design and soft grip handle. Supplied with standard accessories and has a 16mm capacity in concrete. 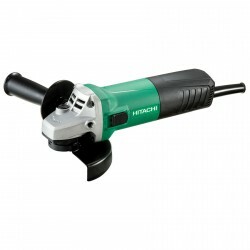 The Hitachi G12SR4 angle grinder is a 115mm angle grinder with a powerful 730W highly durable motor.